I already have a couple watermelon recipes on the blog. My favorite is the refreshing watermelon punch. So good! I highly recommend it! Let sit at least 30 minutes in the fridge before eating. I know right? Thanks Min! This salad, poolside with the wife and kids on a warm summer day...perfection. Sounds delightful, easy and very much like summer-time! I ran out of blackberries so I think ill sub it for blueberries and add a pinch of sea salt (a Mexican culinary secret to eating watermelon). I have never combined basil and lime with fruit, but it sounds divine! Thanks for the recipe. I never thought to add basil to fruit salad, but I LOVE basil. This looks fabulous and I can't wait to try it. 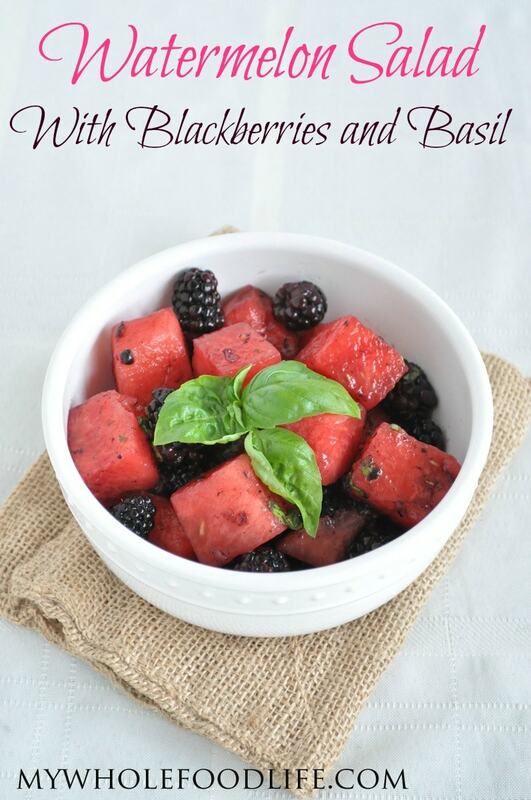 Such a perfect summertime dish!